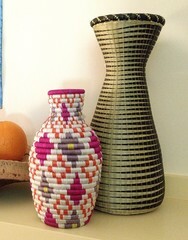 Add a beautifully woven basket to your home decor! 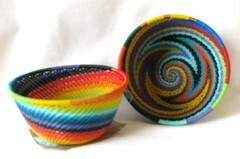 Our baskets are hand made by artisans around the world. Whether they choose to weave with grass, bamboo slashing, plastic strips, recycled fabric, or telephone wire, each one is a piece of art. All our artisans are paid fairly for their work, giving them the self respect and dignity everyone deserves.